Looking for a custom made game to liven up your website? Here are a few examples of our work. We'll be happy to handle all projects, large or small. Contact us to discuss your requirements. 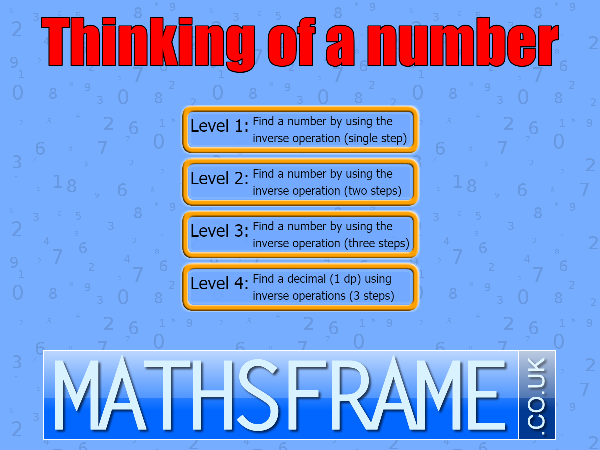 Mathsframe have provided high quality interactive resources for teaching maths in primary schools since 2005. 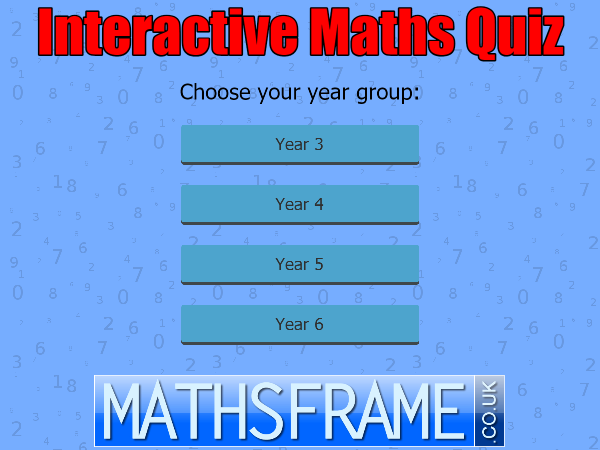 Their website is home to over 200 interactive maths games. Rubble Games have completed over 30 projects for Mathsframe, ranging from relatively small conversions of existing flash games into HTML5, to much larger original projects. A small sample are shown on this page. "I worked on a wide variety of projects with Rubble Games for over a year and would not hesitate to recommend them. Their work was always carried out precisely to my specifications and with a very high level of attention to detail, independence and flexibility." Hundreds of questions for children in years 3-6, covering areas including addition & subtraction, multiplication & division, fractions and algebra. 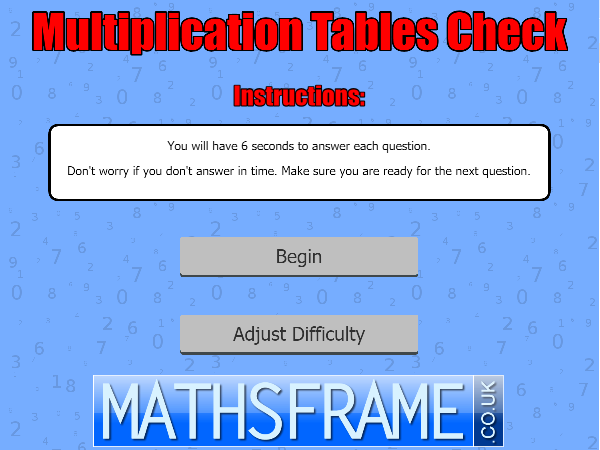 This game mirrors the 'Multiplication Tables Check' that is given to children at the end of Year 4. They are tested on their multiplication tables up to 12 x 12.